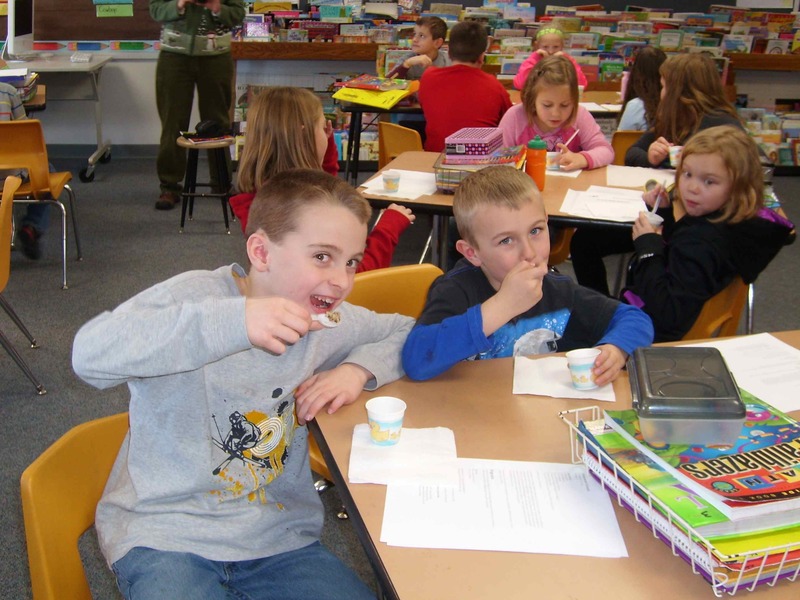 South Winn students tasting quinoa! Put simply, steel-cut oats are chopped oat groats and are the least processed; rolled (or old-fashioned) oats are steamed and rolled flat; instant oats are precooked and dried, and often contain added sugar, especially when bought in little packets. Unlike regular rolled oats, steel-cut oats are whole oat kernels that have been chopped into two or three pieces. They’re nuttier and chewier than regular oatmeal. The bigger pieces make steel-cut oats lower-glycemic, too (translation: they take longer to digest than regular oatmeal), so they keep your metabolic furnace burning steadily. 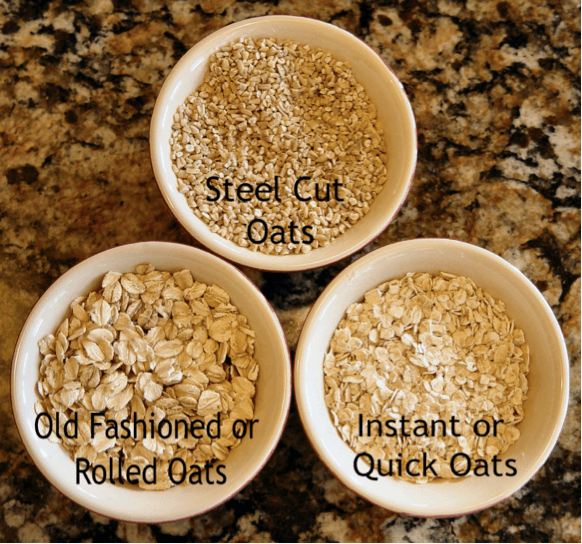 The biggest differences between steel-cut, stone-ground, and rolled oats are in the texture and the cooking time. So, it really just comes down to which type you prefer—and how much time you have to cook them. If you like a very hearty, chewy cereal, you might enjoy steel-cut oats. But you’re not losing out on anything nutritionally by choosing old-fashioned rolled oats. On the other hand, instant oats are slightly different. Because instant oatmeal has been processed to cook more quickly, it is also broken down and digested more quickly by your body, giving it a higher glycemic index. Eating a lower glycemic index diet may help improve your cholesterol ratios and reduce blood sugar spikes and dips. A tip to improve the glycemic index of instant oats is to incorporate lean protein or healthy fat into the oatmeal, such as low-fat milk or nuts. It’s also important to check the ingredients list to ensure there isn’t added sugar with instant oatmeal. Regardless of your personal preference, oatmeal is a healthy and hearty breakfast choice. I have yet to try steel-cut oats, mostly because of the extra cooking time, but I can’t wait to try them! This entry was posted in Central CSD, Healthy Living, South Winneshiek CSD, Turkey Valley CSD by Paige Wettach. Bookmark the permalink. I want to share my easy steel cut oats recipe. I eat a bowl most mornings with Greek yogurt, honey (from our bees), dried fruit and nuts. I buy my steel cut oats from the bulk section at the Oneota Coop. Add 6 cups water and 1 1/2 cup Steel cut oats to saucepan. Bring to a boil and continue to boil for 1 minute. Turn off stove and let set overnight. In the morning, heat again for 7 minutes. Don’t forget to stir. That’s it! This makes a large batch. I take out some for my breakfast and enjoy the rest throughout the week. So easy and quick.